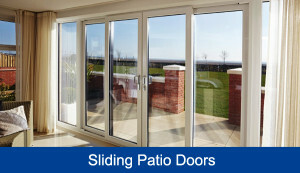 Whether you’re looking for a brand new patio door to provide better access to your garden, or you’re looking for a replacement door, you’ll be amazed at how different our range is from other patio doors on the market. With fully sculptured features providing a beautiful finish and ultra-slim sightlines ensure you enjoy the maximum amount of natural light in your home. And with a range of colour and handle options, you can personalise your patio doors to match the rest of your home, making it seem like they were designed just for you!